Home » Android , Apple , news » Whatsapp is All set for a Big Feature Launch on The New Year. Recently a Germany based blogger released these photos which conferms the viral conspires. 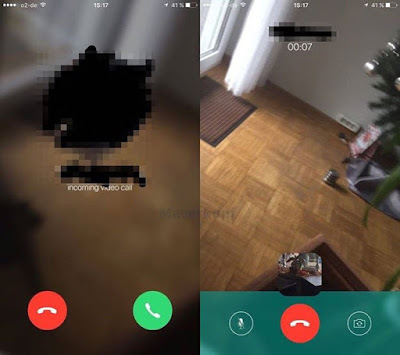 It clearly shows that WhatsApp coming with the most awaited video call feature. The new update will bring multi-chat tabs, allowing users to switch between chats without going back in the chat list. This is a smart move by Facebook. They are bringing new features every year. In 2015 Whatsapp came up with it's new Voice calling feature. It is confirmed by Macerkopf that the feature was being developed for version 2.12.16.2 of the app. This new year, It Looks like that whatsapp will bring more happiness for it's loyal users.